Take control of the storage and retrieval of work-in-progress and finished product within the manufacturing facility. 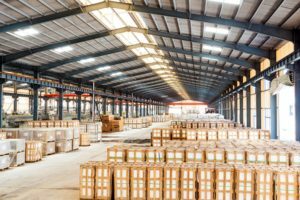 Management of work-in-progress or finished product storage (typically referred to as Yard Management) is a critical link in the manufacturing chain. Product within storage represents high value inventory which ultimately must be processed or shipped to realize its value potential. For that reason, an efficient use of storage is a must for maintaining profitability and reducing excess inventory. Additionally, inefficient yard management can adversely affect delivery schedules, risking reputation and profit. Whether work-in-progress or finished parts, control of product flow between the production lines and the storage facility can be challenging. Efficient management of the location flow between production, rework and storage can eliminate unnecessary delays and improve adherence to schedules. Managing actions and rework enables easier planning of these tasks, faster processing and results in a significant improvement in adherence to schedules. Last-minute changes can be planned and documented in an orderly fashion. Performing product movements in a structured and orderly manner minimizes lost time that can occur by unnecessary travel paths of the transport operators and supports effective handling of product in the yard. Yard configuration allows for the creation of a virtual yard in 1, 2 or even 3 dimensions representing linear storage, area storage or multi-level storage. The visualization screen displays the occupancy status for each defined storage space. For storage spaces which contain product (occupied), the screen can display the details of the product located within the storage space such as order details, status and scheduled delivery. These displays are fully customizable based on the needs of the user. The Transaction Control Center screen is the centralized workplace for product movement planning. From here, the planner can add, view and edit the planned transactions. Transactions can be manipulated, re-sequenced, edited or deleted according to the moving requirements. Within the Yard Management solution, rules can be created to allow a more structured approach to product storage. For example, a rule could be generated which determines a specific area for product which is due to be expedited, which in turn can lead to a faster and more orderly retrieval of the product once transport is available. Operators who perform product movement within the yard are equipped with Handheld Data Terminals (HDT) displaying a product movement screen for worker guidance. This screen displays transport orders for execution and enables the operator to confirm the execution. 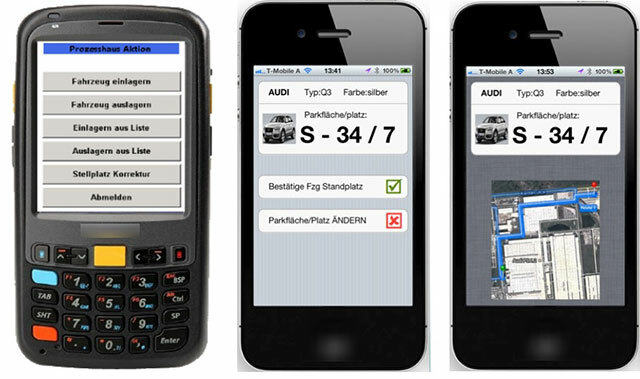 The Yard Management solution also supports vehicle management. This special case use differs from typical transportation in that the operator accompanies the vehicle in only one direction of the transfer and hence offers the opportunity for optimization by minimizing the travel path for the operator between vehicle pick-ups. Ready to take control of your yard management process? Or perhaps you just have a question. Either way, we would love to hear from you.